With Paperless Faxing, paper is eliminated by sending faxes right from your desktop to the Xerox device and routing incoming faxes to an email or shared folder on the network! Paperless Faxing uses a traditional fax line for communication with the outside party that plugs into your Xerox unit. 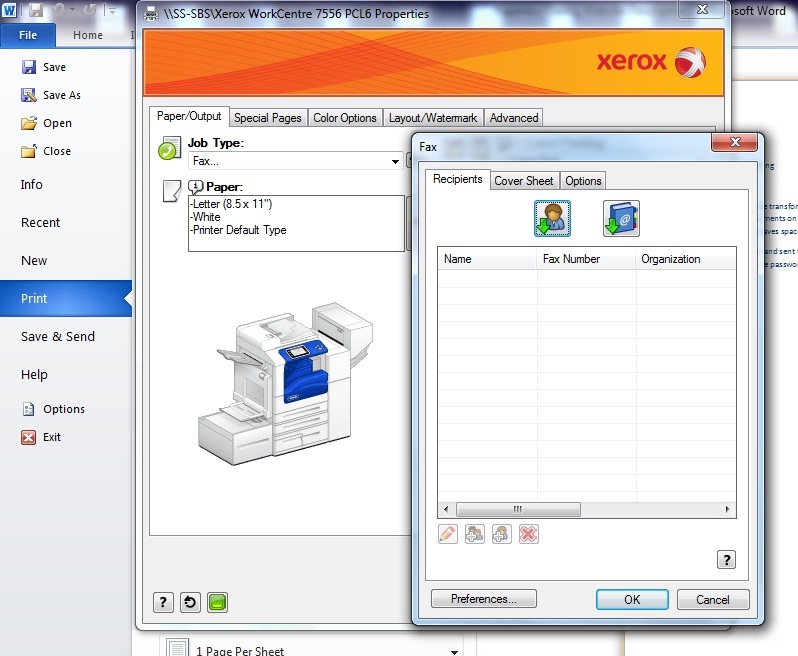 Outgoing faxes are sent from your desktop to the Xerox device via your print driver and out as a fax. Incoming faxes are converted to a PDF and then routed to an email address or shared folder on your network.